You might be surprised that they are very similar. The Summer Olympics is a thrilling time for any runner. As spectators, we eagerly watch the Olympic runners partake in intense competitions with superhuman speed, strength and agility. What gives them the energy to be able to perform at the elite level? Believe it or not, these god-like athletes actually eat normal food, just like us. The difference, though, is what and how much they eat to stay in such amazing physical shape and fuel their intense training and competitions. We’ve all heard about Michael Phelps’ 12,000-calorie daily diet in the 2008 Summer Olympics. Do all Olympic endurance athletes eat pounds of pasta, pizza and energy drinks just to maintain their weight? The answer may surprise you. Just like the recreational runner, the Olympic runner’s eating plans serves a few purposes. The first is fueling properly to have sustained energy during training and competition. Carbohydrates, the main fuel source for endurance activity, are the most important part of the runner’s diet and make up 55-65 percent of the calories they eat in a day. As a general rule of thumb, Olympic runners need 6-10 grams of carbohydrate per kilogram of body weight. For a 150-pound (68 kg) runner, that’s anywhere from 409-680 grams (or about 1600-2700 calories) of carbs per day. Sound like a lot? Luckily, the U.S. Olympic team has five full-time sports dietitians on staff to help them choose the best fueling options at the Olympic Village. The second purpose of the Olympic runner’s eating plan is to properly recover from training sessions. Recovery meals generally comprise carbs (to replace lost carb stores) and protein (to repair tired muscles). The recovery meal is also the time to replace calories that were used during training. Because Olympic athletes work very hard to maintain their muscle mass and strength, losing weight can be detrimental to their athletic ability. How many calories do Olympic runners need each day? It’s impossible to give a specific calorie intake for any one runner. Every Olympian differs in size, gender, running distance and training intensity, which results in differing calorie needs. Jason Machowsky, MS, RD, CSSD, RCEP, CSCS, a Board Certified Sports Dietitian and Exercise Physiologist at Hospital for Special Surgery, says that a 140-pound female Olympic runner could eat 3,000-4,000 calories per day while training. Some marathoners may even need up to 8,000 calories per day! How can any one individual take in that many calories in a day? 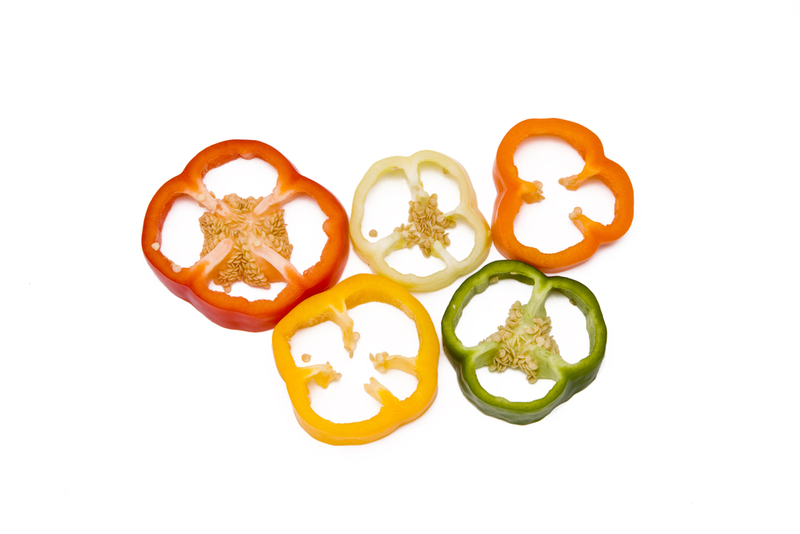 Olympic dietitians emphasize the importance of eating higher calorie, yet healthy, options. Machowsky suggests “nutritious high-calorie foods including: fatty fish, olive oil, nuts, seeds, nut butters, granola, cheese, dried fruit, full fat dairy and whole grains/rice/pasta.” Pastas or sandwiches may be topped with olive oil for the addition of healthy fats and calories. Machowsky also likes to recommend calorie-packed smoothies. Eating nutrient dense meals is extremely important because Olympic runners are putting a strain on their immune system and can’t risk getting sick. With everything Olympic athletes have on their minds, counting calories may not be entirely realistic. The Olympic dietitians created an easy plate system to help determine what to eat without worrying about calories. The plates are based on easy, moderate and hard training days, and each plate suggests a serving size of grains, protein and vegetables. The more intense the training day, the more grains should be on the plate. 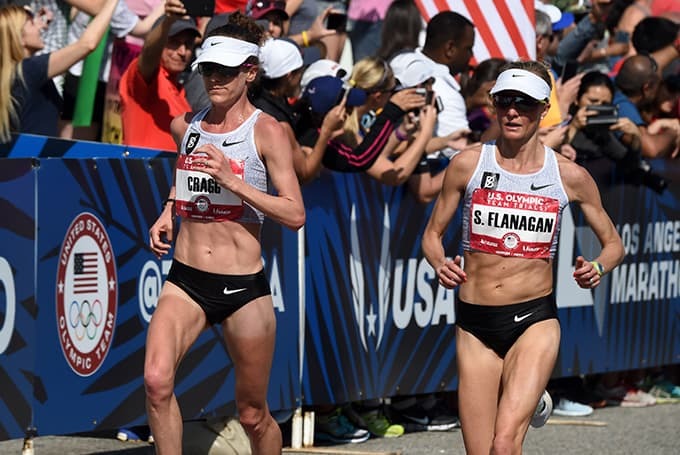 How does the Olympian’s diet differ from the recreational runner? Unlike many of us who run to keep the pounds off and to indulge in the occasional dessert, Olympic runners have to actively eat enough calories to maintain their weight. It’s very rare that a recreational runner needs more than 3,000 calories in a day. But besides the need to eat a large amount of calories to recover from their 2-5 daily workouts, Olympic runners share very similar eating habits with the everyday runner. They try to avoid any new foods on race day. They also have their favorite fueling foods, whether it’s oatmeal or a peanut butter and jelly sandwich. Having worked long and hard to figure out which foods work best for them, Olympians tend to stick to certain foods. Food can be a great ally to the Olympic runner, but eating a huge amount of calories can also be challenging feat. What would you eat to be the best runner in the world?